Let our linen take you on a voyage of discovery. Sojourn’s pattern merges the romantic sunset colors of the Grand Canyon with a sophisticated damask pattern. 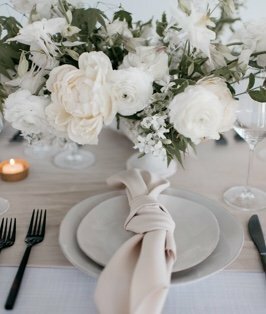 The pinks, taupes, and whites of this linen accent any tablescape and provide the perfect setting for your event.